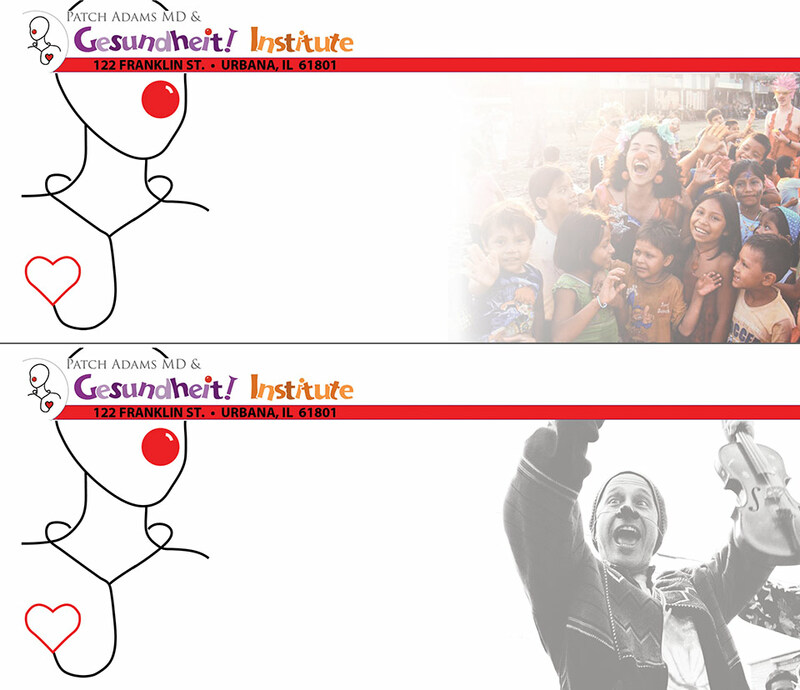 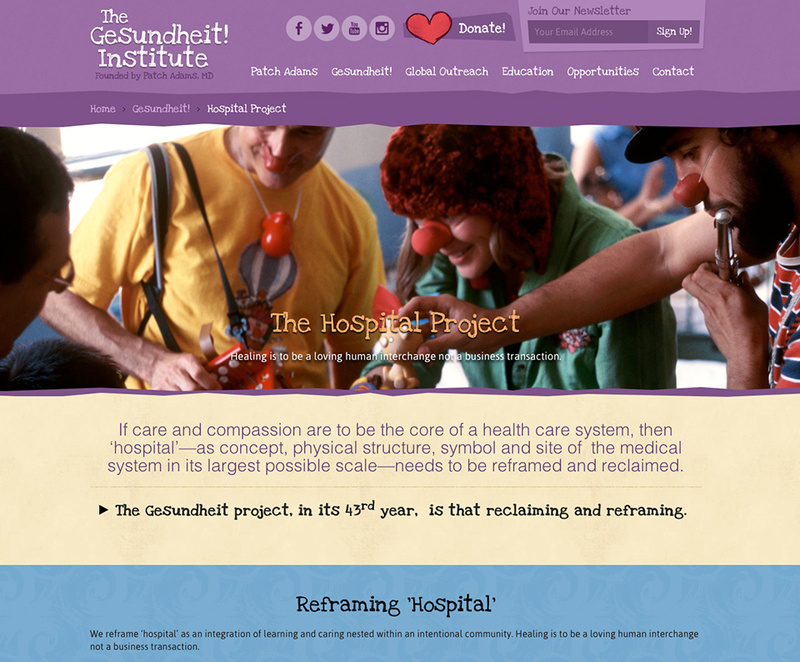 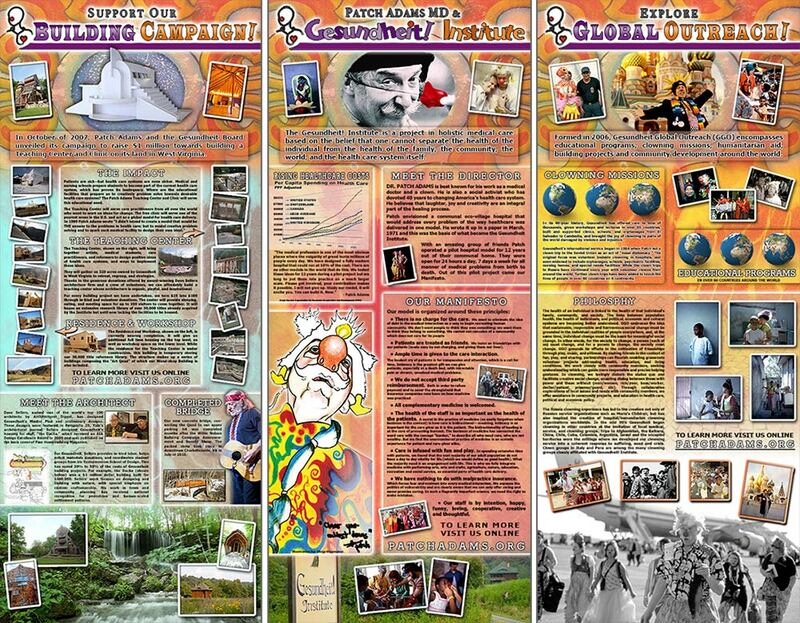 Here are just a few examples of WiDABi's work, representing a broad range of websites, design, and promotional material completed since 2007.
patchadams.org Helping Patch Adams and the Gesundheit Institute keep their online presence current and assisting in co-ordinating their international clown trips has been a joy, and thats no surprise as joy and laughter are the focus of this medical non-profit. 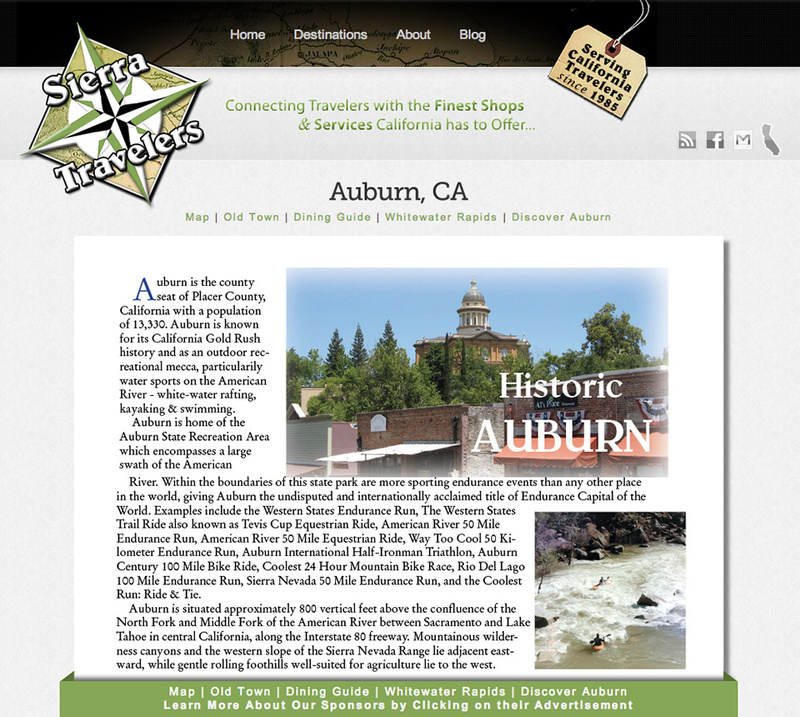 Check out their website that we maintain as well as some of the print design work done over the years. 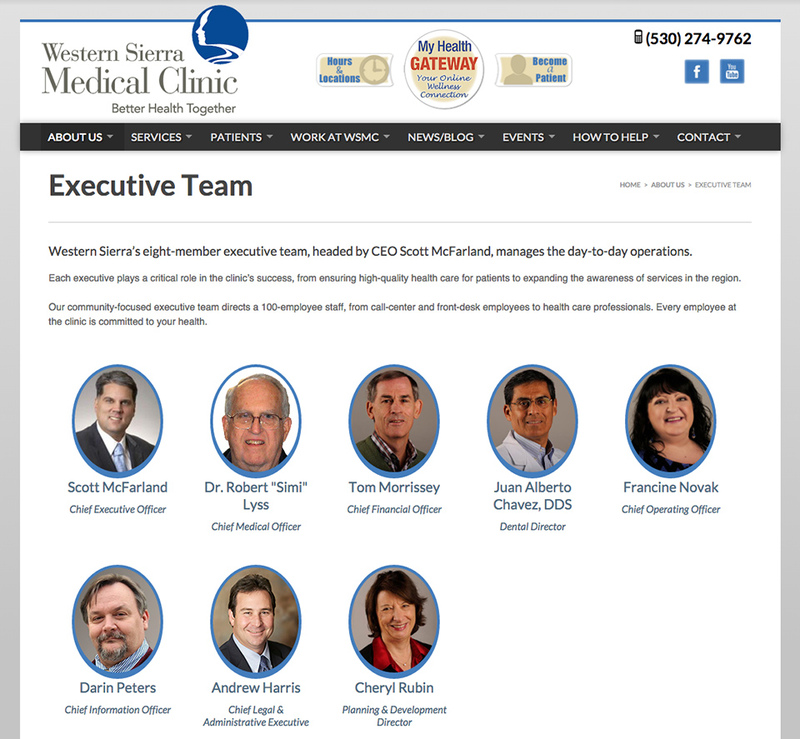 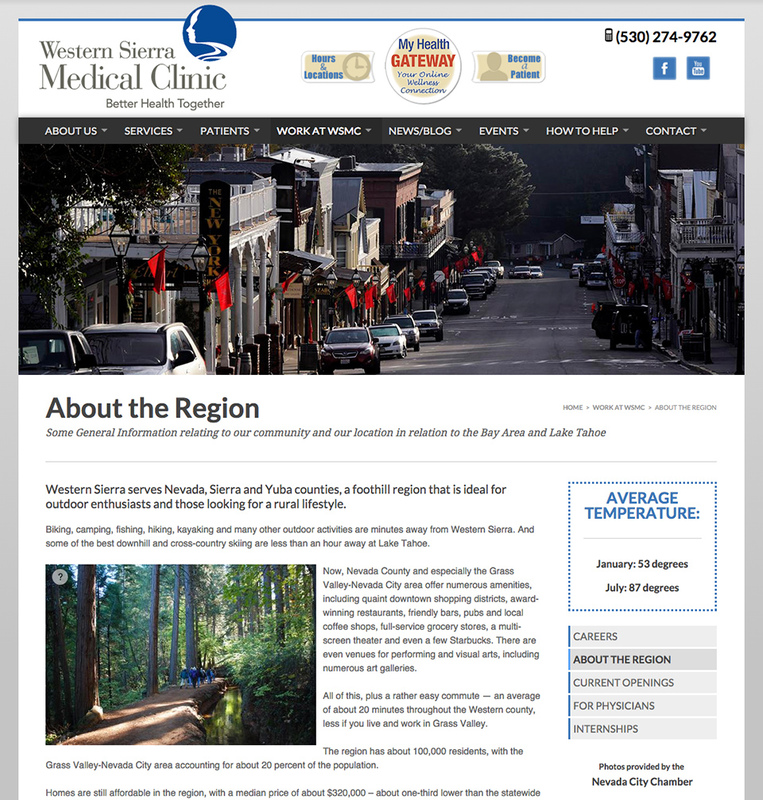 wsmcmed.org Western Sierra Medical Clinic (WSMC) found us to help re-design their outdated website. 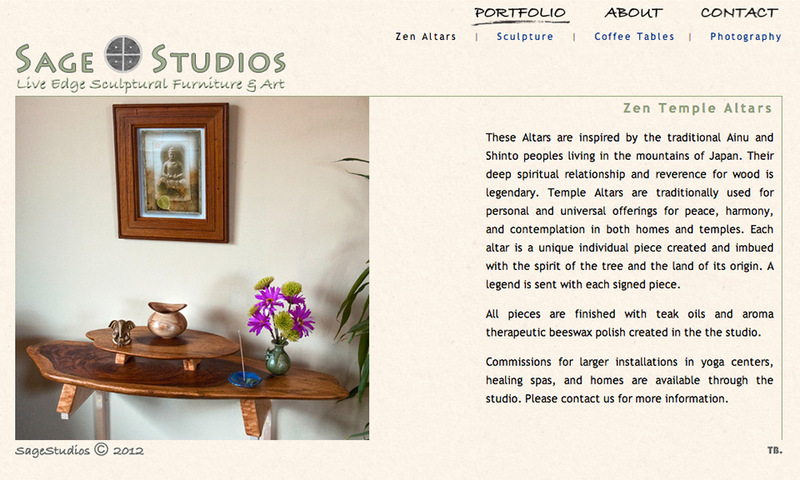 Wanting to work with someone locally that specialized in Concrete5 Design, Widabi was a natural choice. 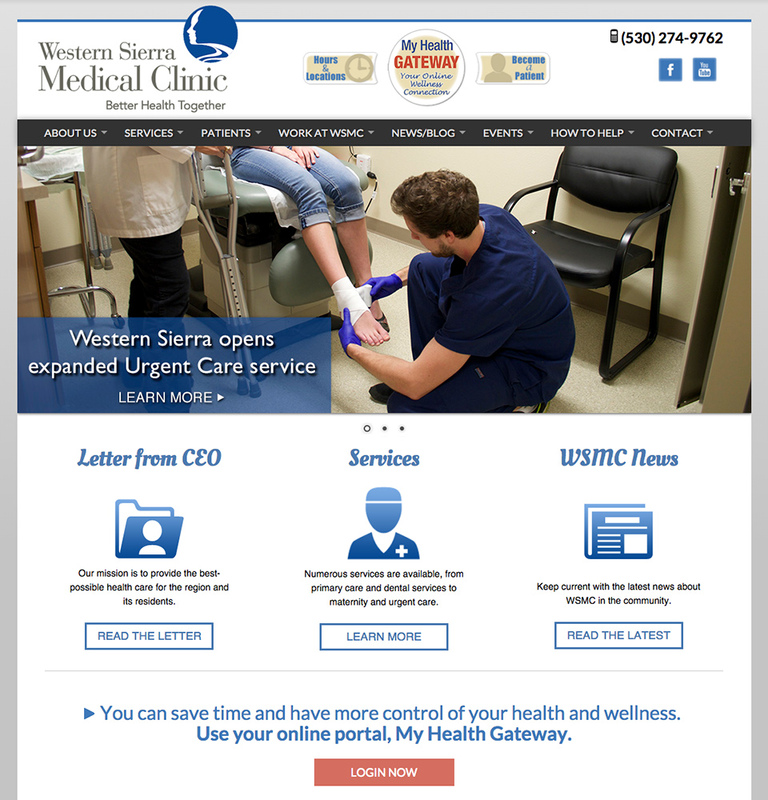 We put together a simplistic modern website that is fully responsive and easily accessible for inexperienced users and outdated machines. 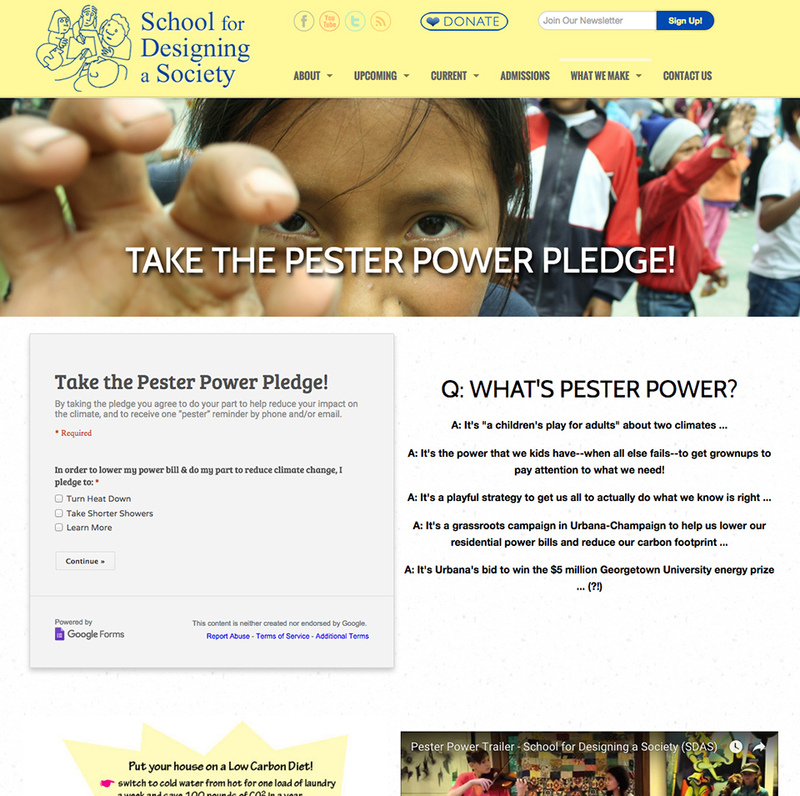 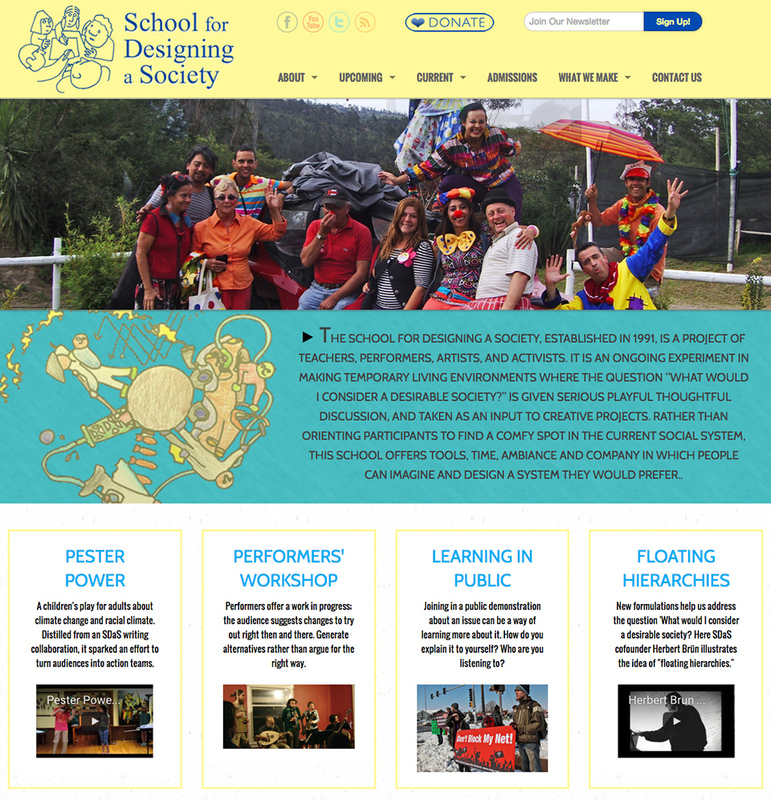 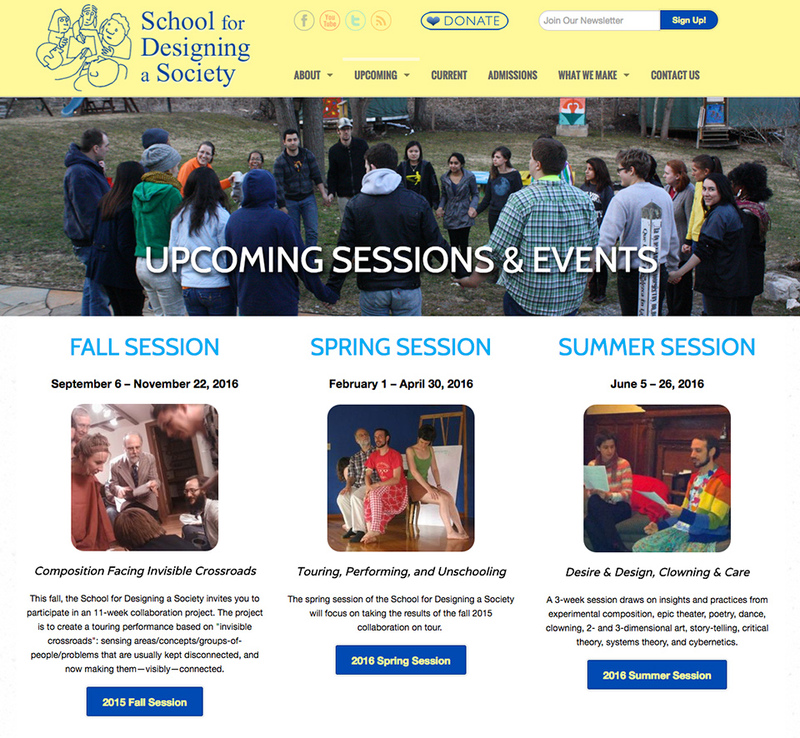 designingasociety.net With the School for Designing a Society's (SDaS) constant need to update their course material and event details, they needed an easily editable website. 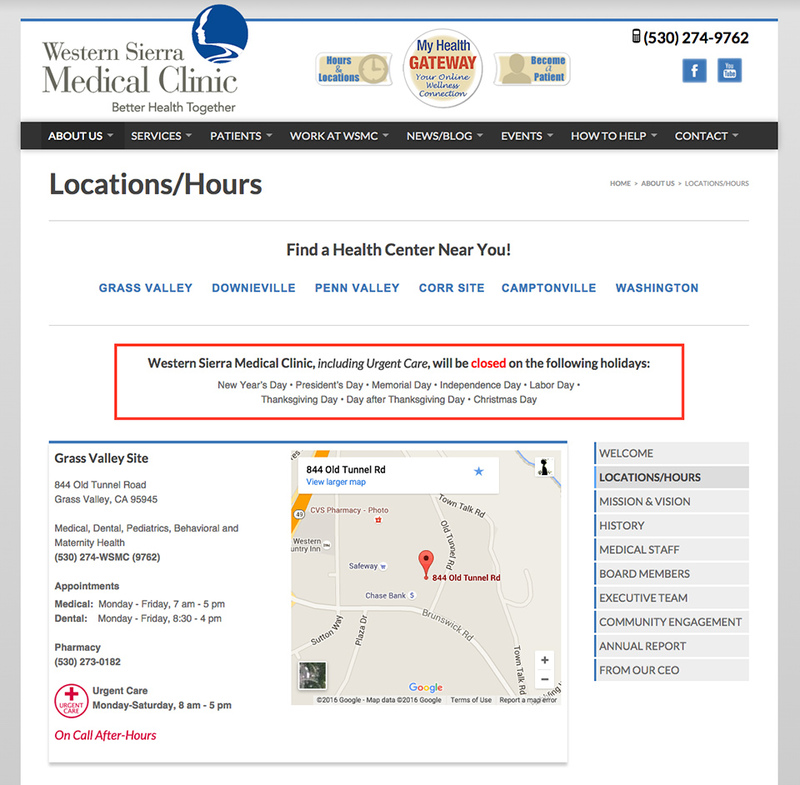 Widabi built their fully responsive site with the ability to edit content right from the page their viewing. 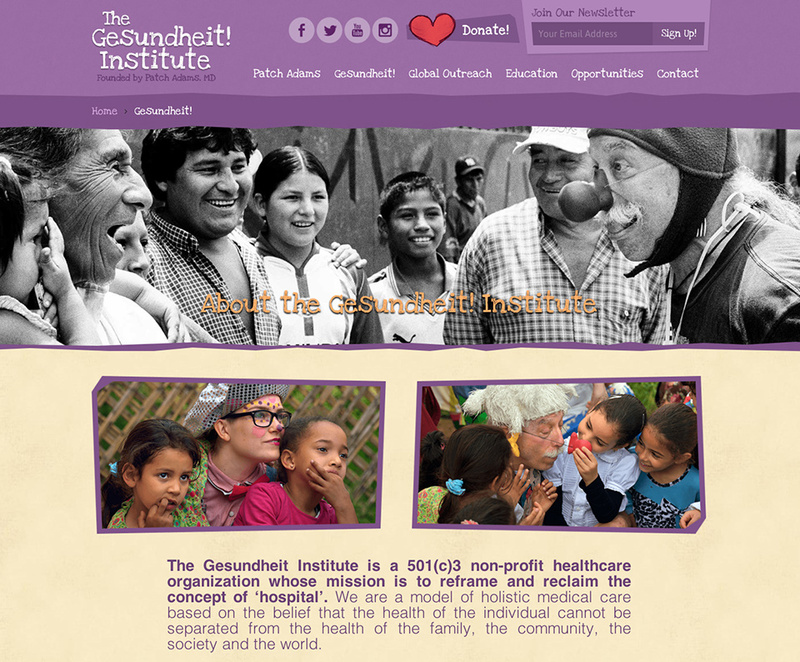 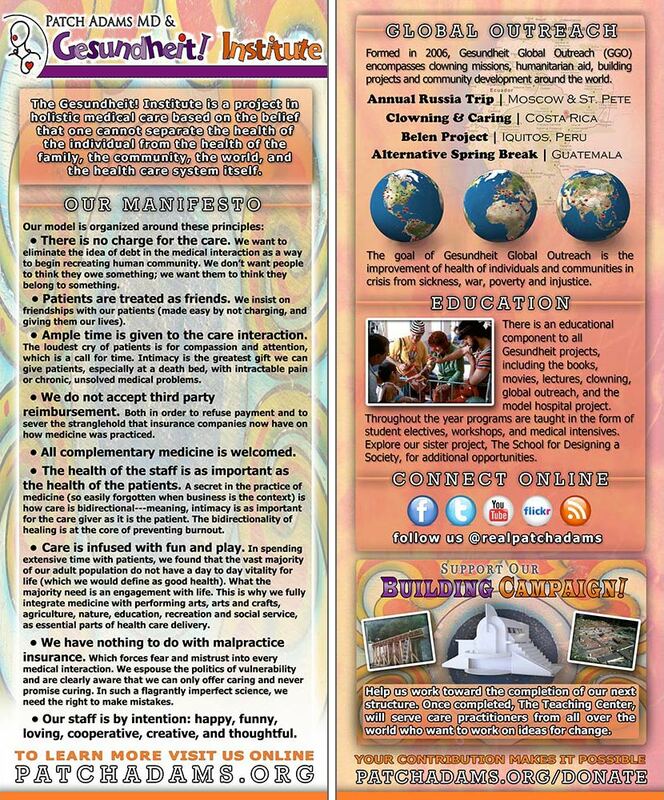 We continue to support them with custom newsletters, social media marketing, and more. 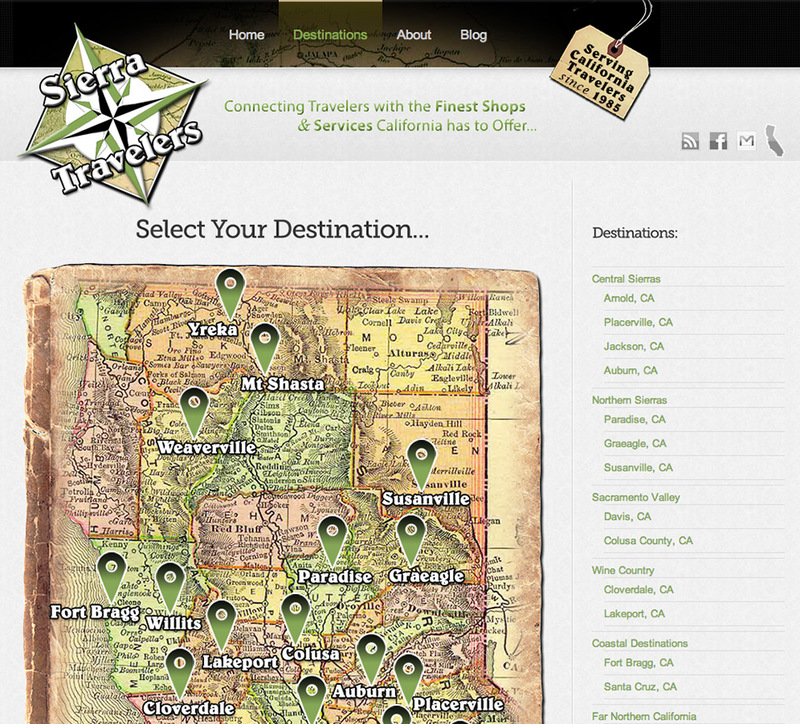 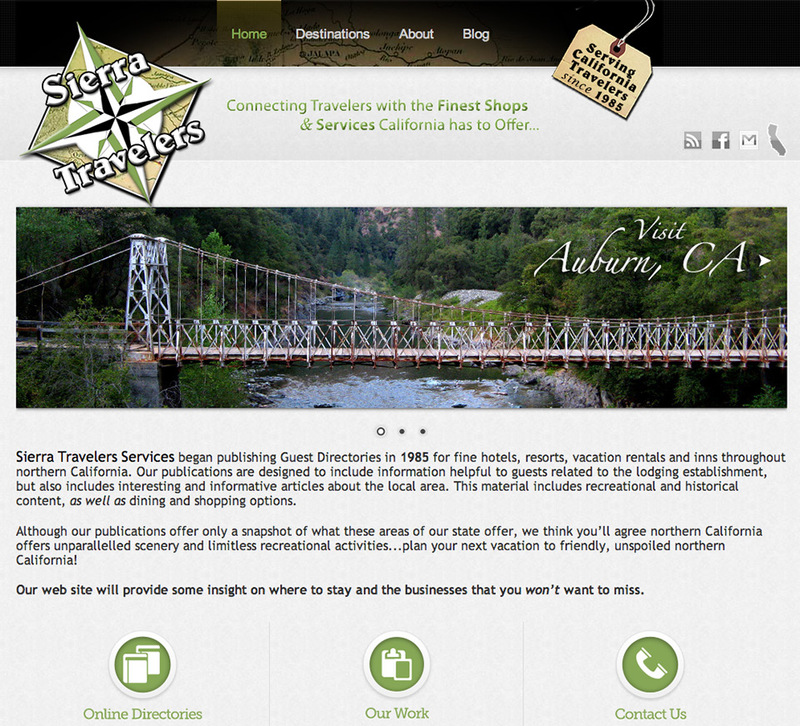 sierratravelers.com Creating an online, interactive guest directory for the Sierra Travelers was exactly what this business needed to update its presence in the small resorts they print directories for. 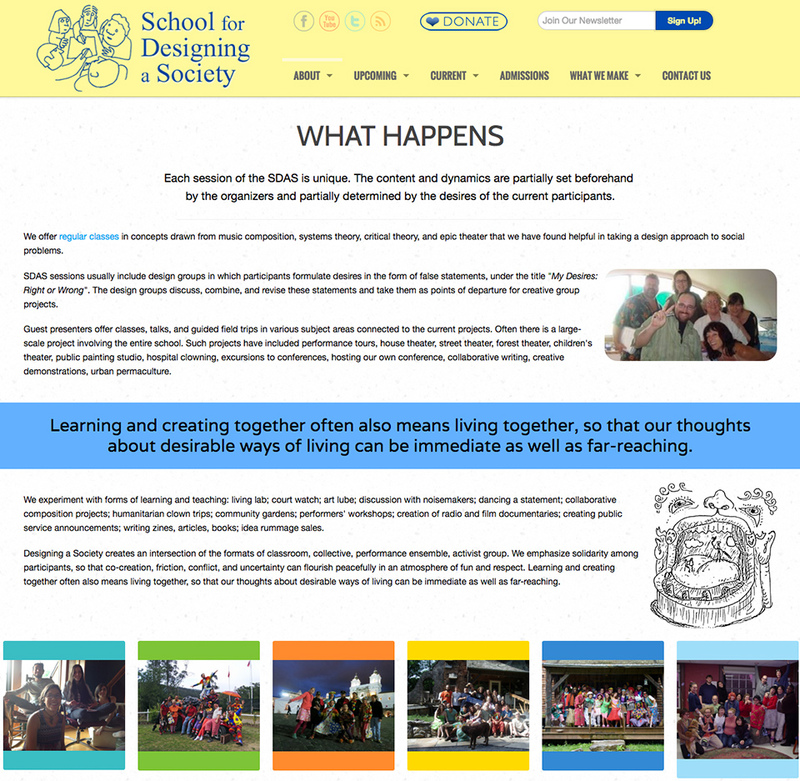 The new site and look has been a much welcomed change after having the same logo for over 20 years. 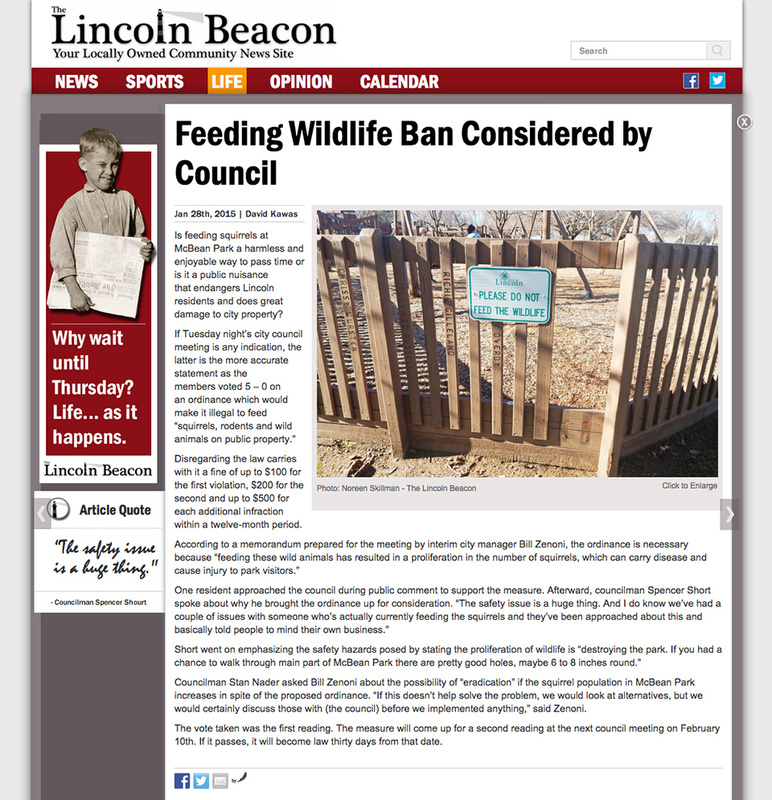 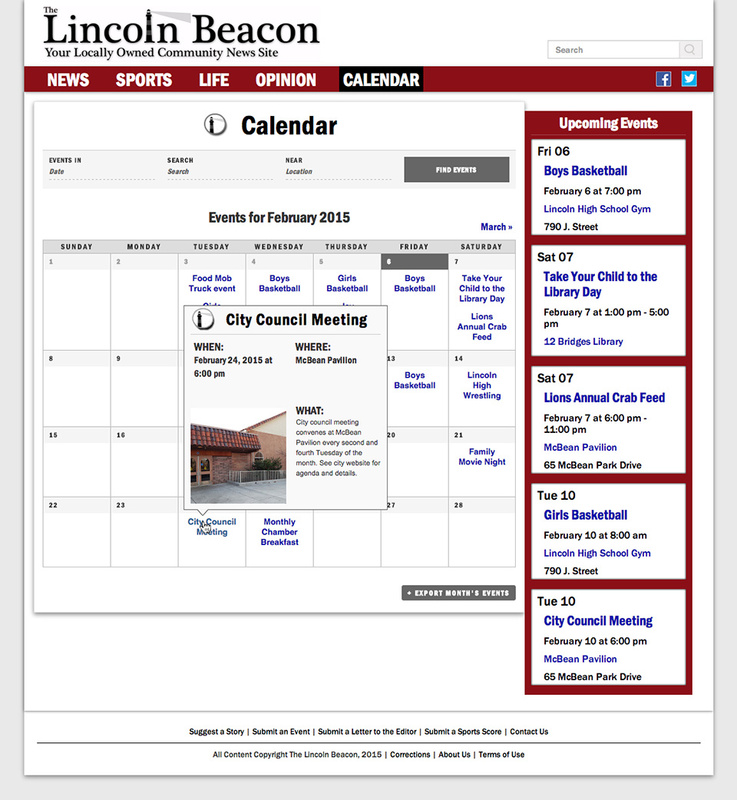 lincolnbeacon.com Picking up where someone left off, we helped finalize this small, community based news site with some extensive CSS and PHP coding. 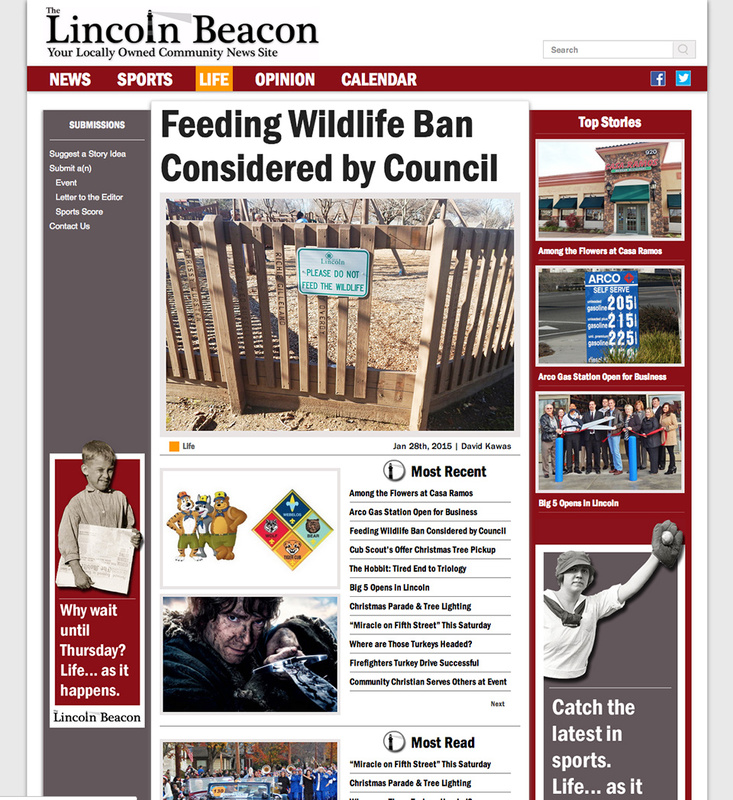 Based out of Lincoln, CA, the site is meeting Lincoln’s news consumer where they are with content that is easy to read and accessible on various platforms. 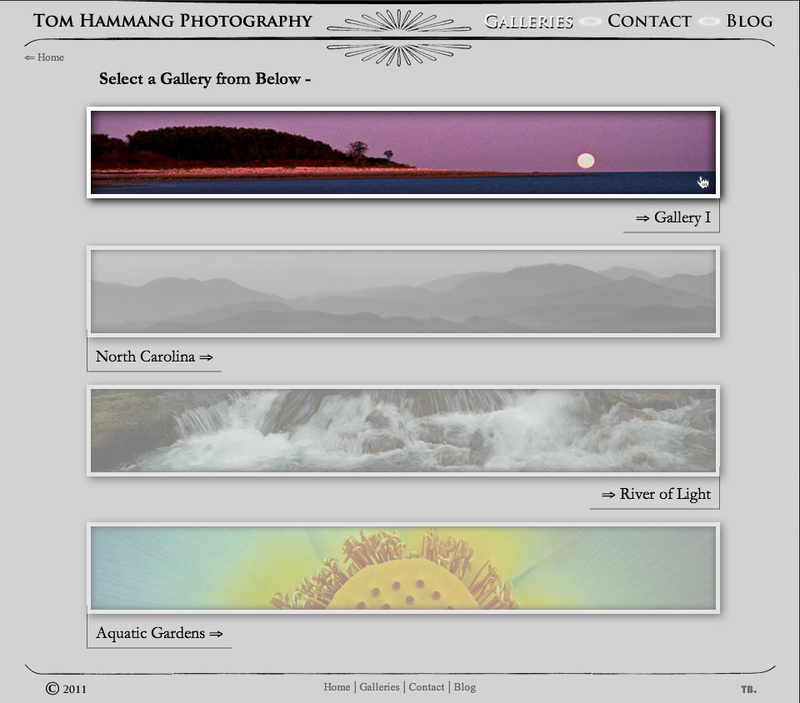 tomhammangphotography.com We worked with Tom to develop a photography site with an integrated custom Wordpress Photo Blog, as well as photo galleries that he could create himself. 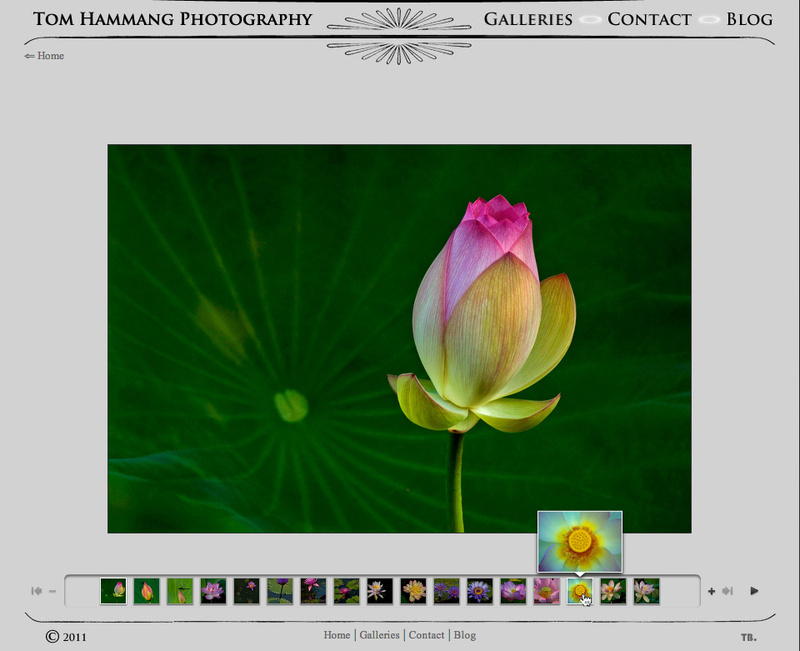 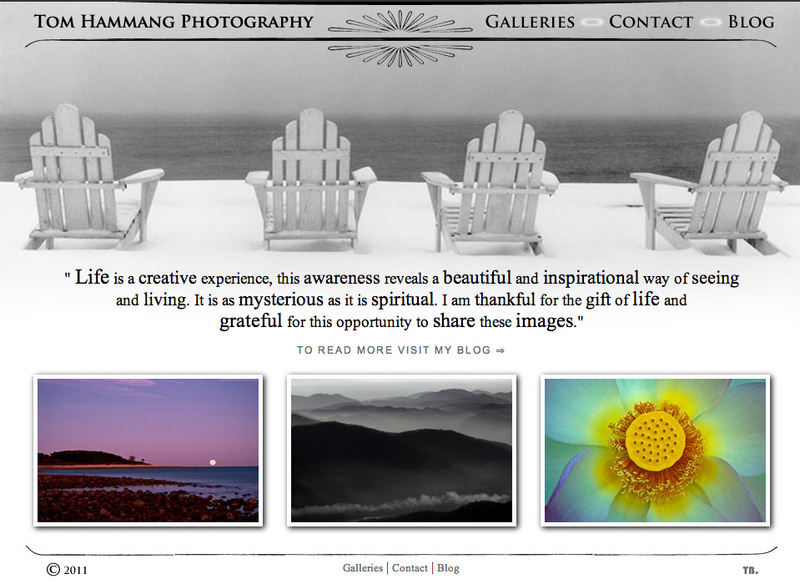 Tom wanted a simple, un-cluttered, "zen-like" site that let his photography do the talking. 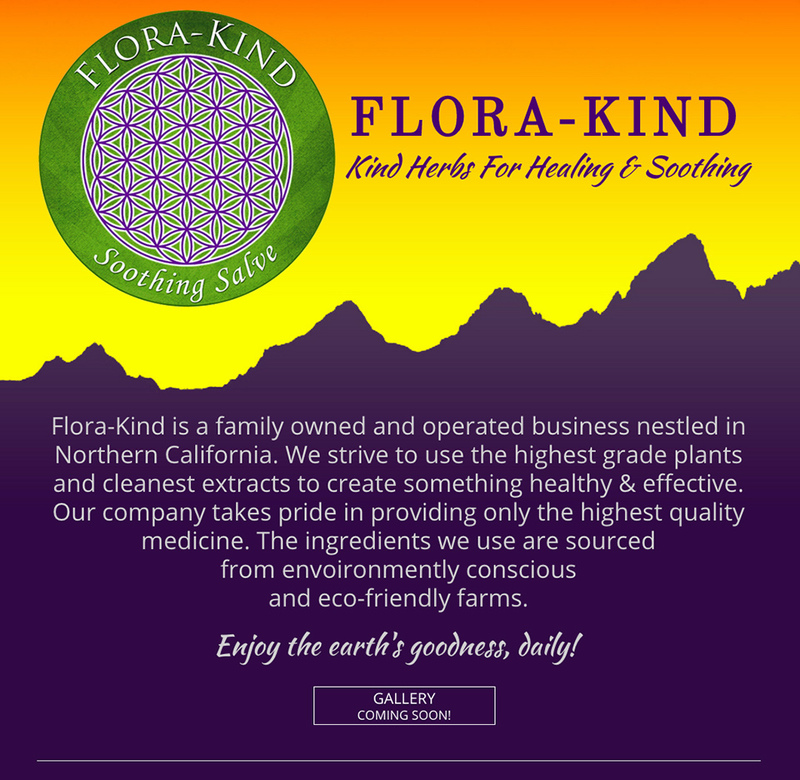 Helping Florakind get their ideas off the ground has been rewarding. 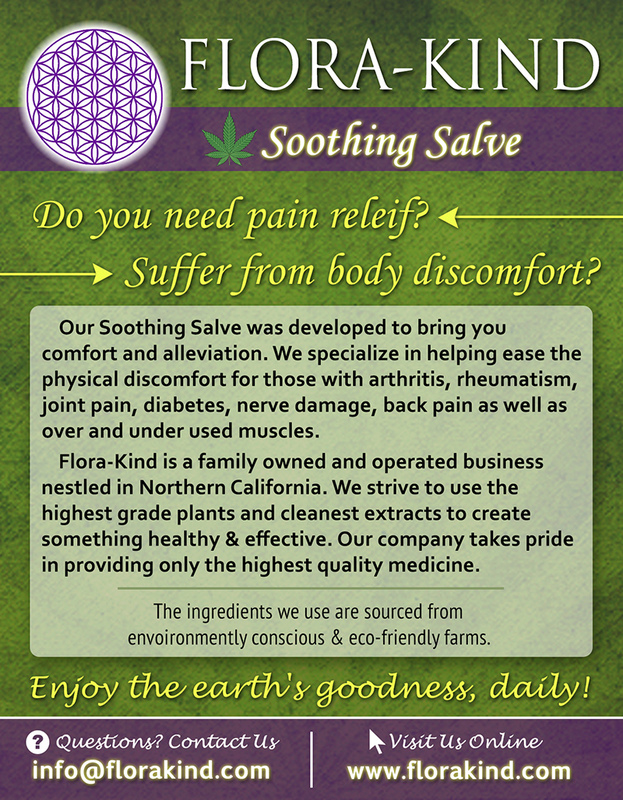 This small, family owned and operated business out of Northern California is providing salves for patients suffering from arthritis, sore joints, etc. 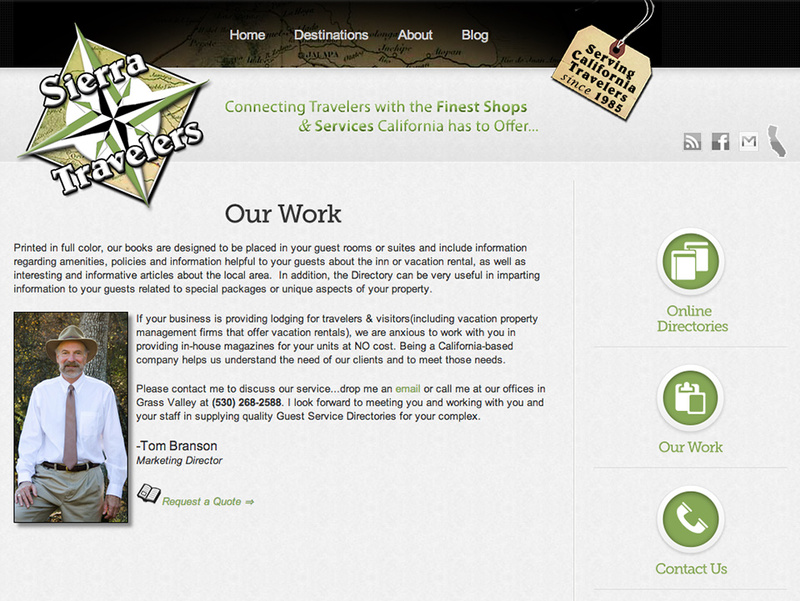 We will be working closely with them in the future to further develop their brand and website. 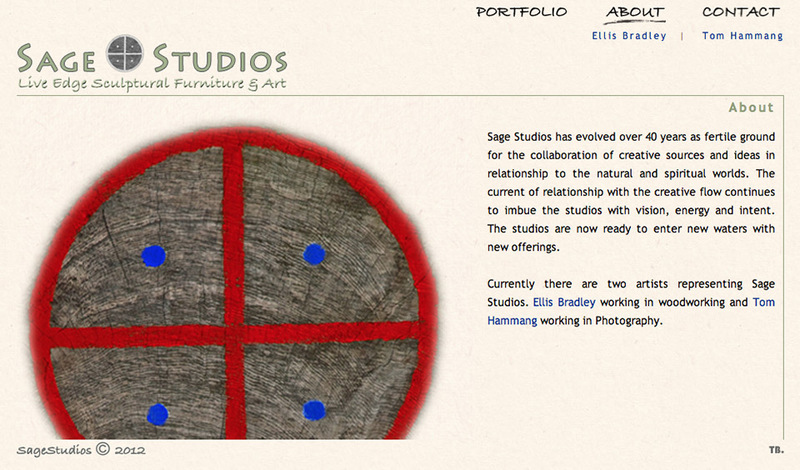 sagestudiosonline.org A "simple as it gets" website with an uncluttered feel. 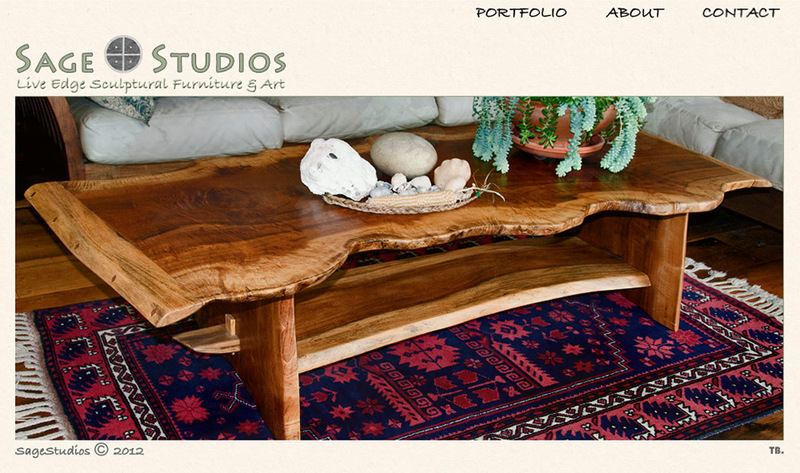 Ellis from Sage Studios was excited about his newly acquired web presence and we are working together to extend the content and make his site into an online store for his live-edge furniture and art. 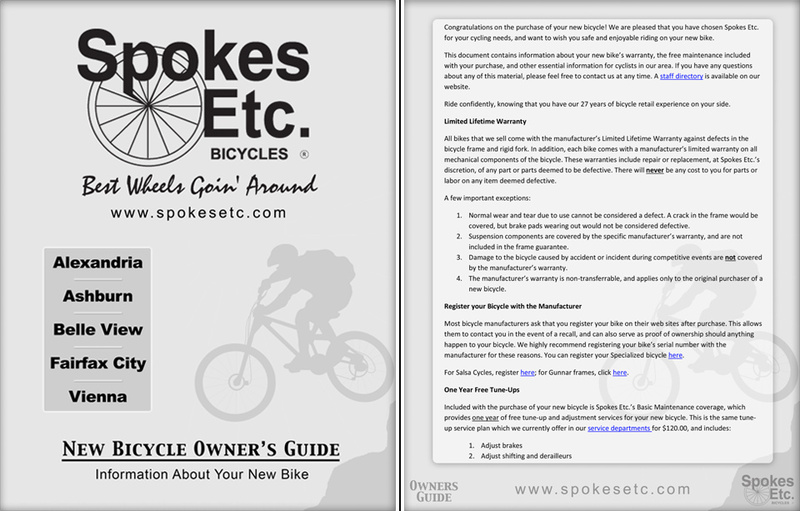 Spokes Etc. 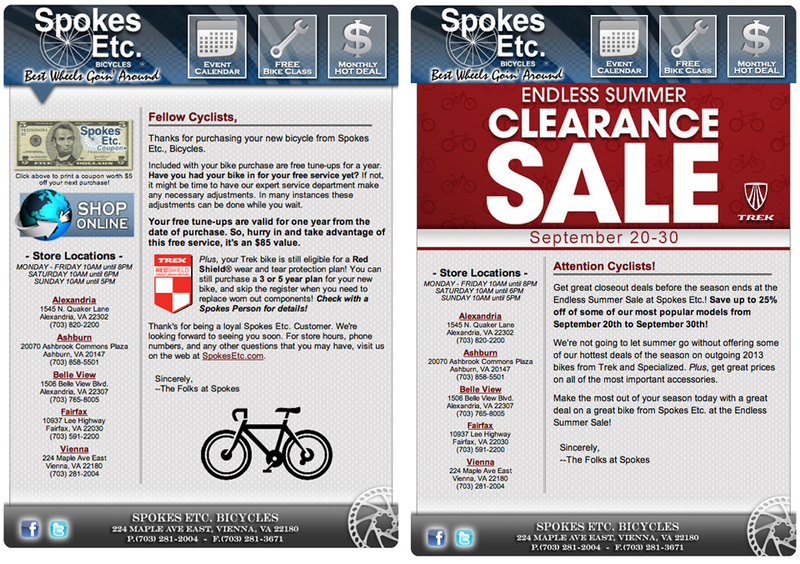 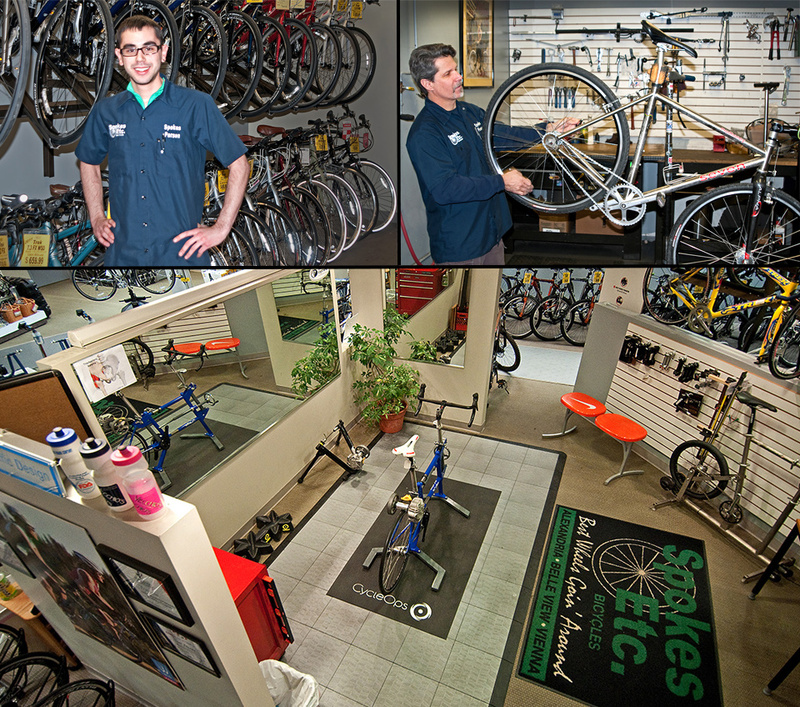 Bicycles, one of the top 100 Bike Stores for 10 years now, hired Widabi to update some of their design elements. 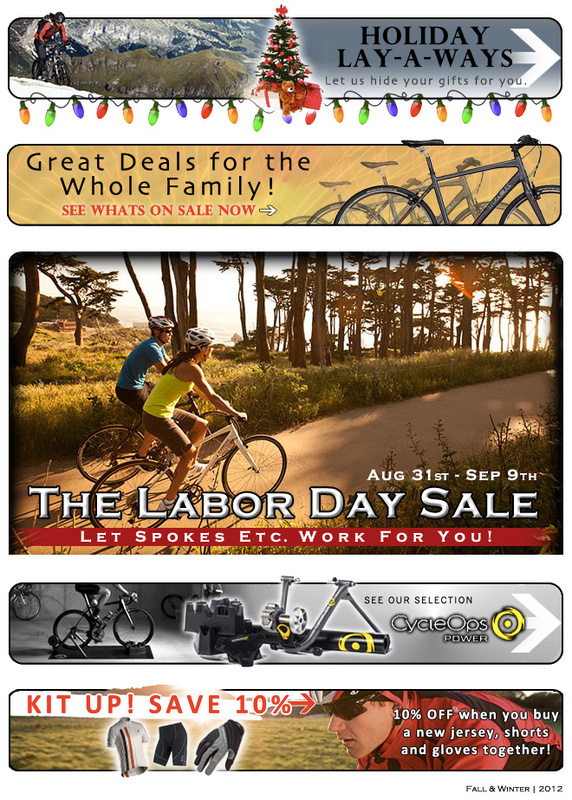 We've worked with them on everything from their website and email promotion campaigns to printable coupons and gift card design.